Purchase any box of Reg'Activ and Get FREE First Class Mail Shipping and a FREE Trial Size (1.6oz) of "Award Winning" Kampuku Beauty Bar. USA Only. 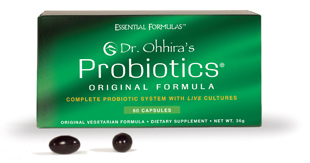 Purchase either Probiotics Original or Professional Formula and receive FREE First Class Mail Shipping and a FREE Trial Size (1.6oz) of "Award Winning" Kampuku Beauty Bar. USA Only.